2018 has seen a shift in HR’s focus area. The emphasis is on “Employee Experience” now. It is about the experience an employee gets at work. A recent study has found that 83% of HR leaders cite “employee experience” as an important factor for organizational success. By offering a valuable workplace experience that meets professional needs and expectations of the employees, any business can drive employee satisfaction, workforce engagement and loyalty. Employee experience encompasses everything happening at work, from company culture to physical environment to the technology solutions that employees use. An important element leading towards organizational success. Why Should Organizations Care About Employee Experience? It is important to transform disengaged employees into an engaged workforce. Disengagement impacts a company’s bottom line whereas engaged employees do everything in their power to move the team forward and accelerate business. Recognize patterns of disengagement and focus on engagement initiatives to improve employee experience. Make employees feel valued and care & appreciate the work they’re doing to improve their experience. Give an Irresistible Experience to Employees and Optimize your Business! 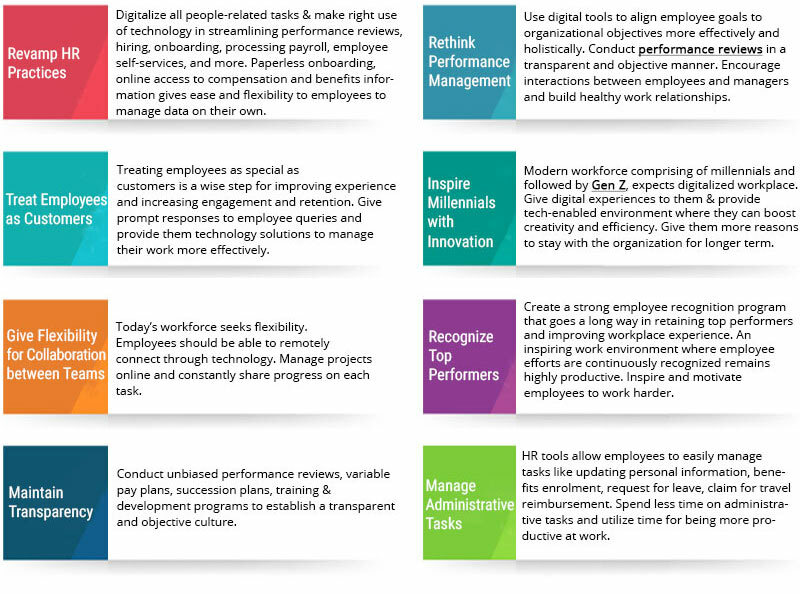 With right tools you can cover entire gamut of employee experience. Empxtrack provides HR tools to make life of employees easy and support them to manage work faster. The flexibility in the workplace and the support from employer improves overall Employee Experience.